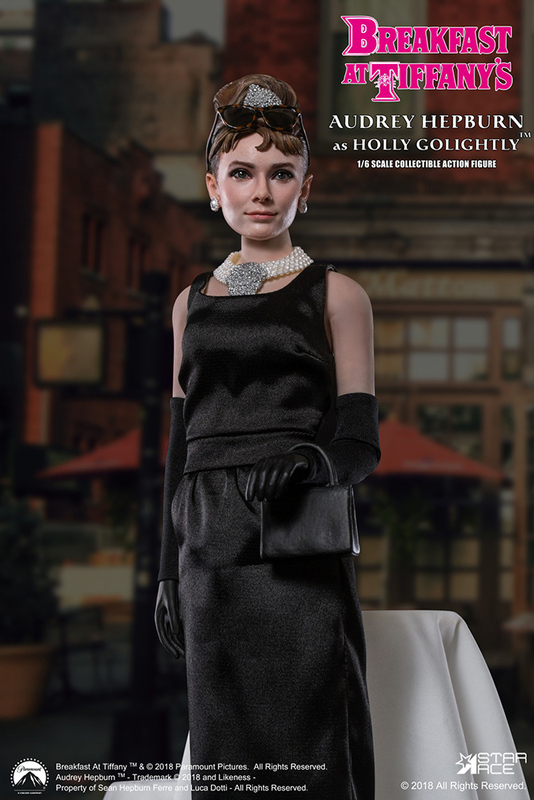 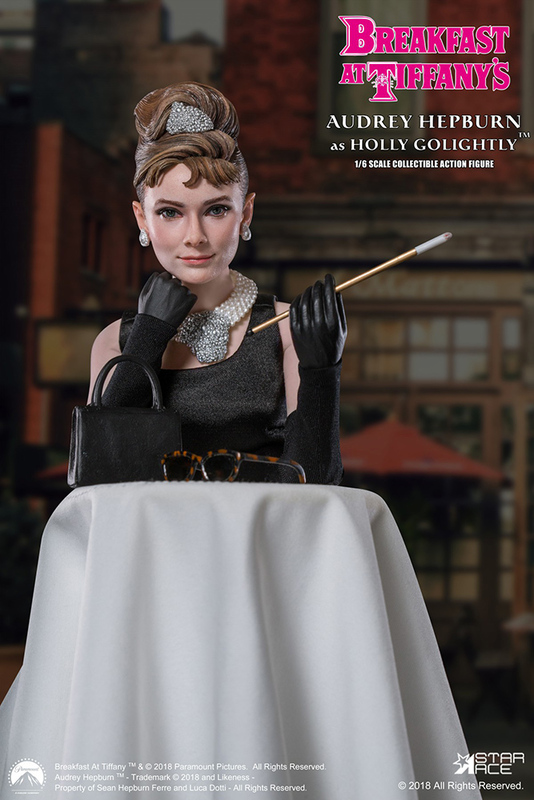 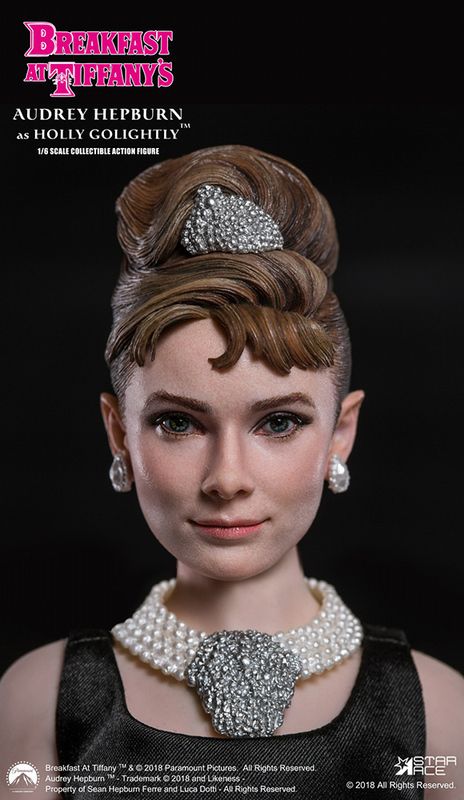 Now Star Ace brings her most famous performance to life as a fully realized 1:6 scale collectible figure of Holly Golightly from Breakfast at Tiffany’s. 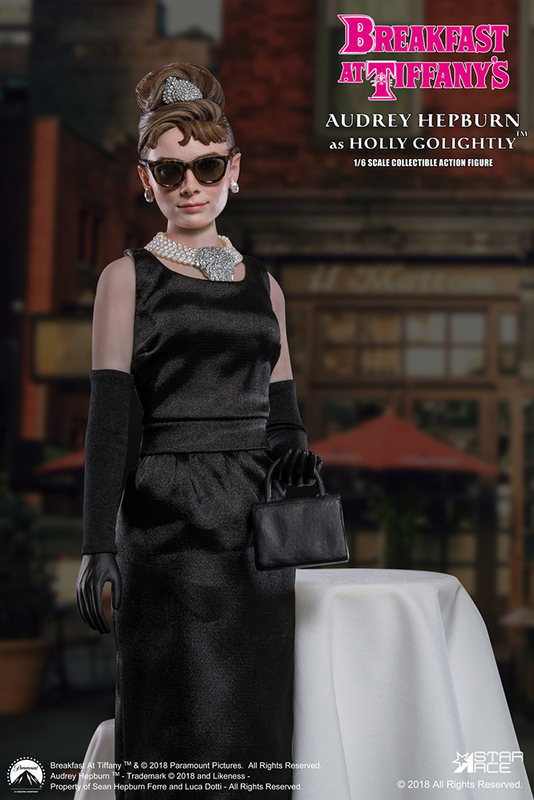 Her costuming and hair style are re-created from the first scene of the film when Holly visits her favorite Manhattan store (Tiffany’s). 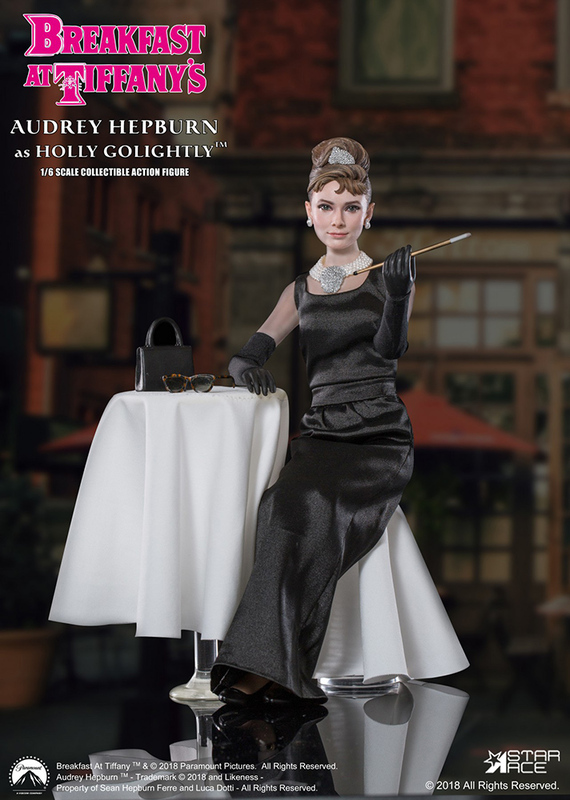 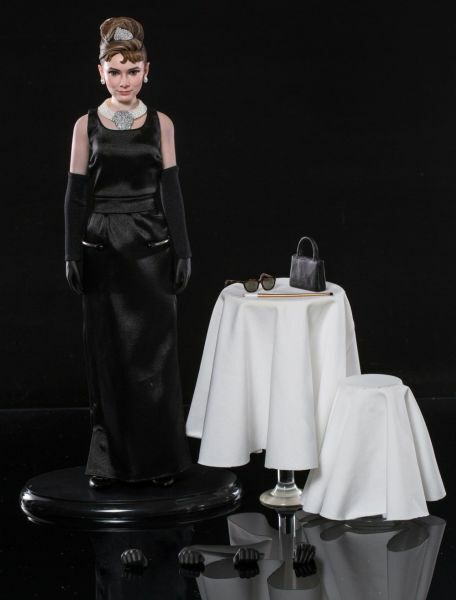 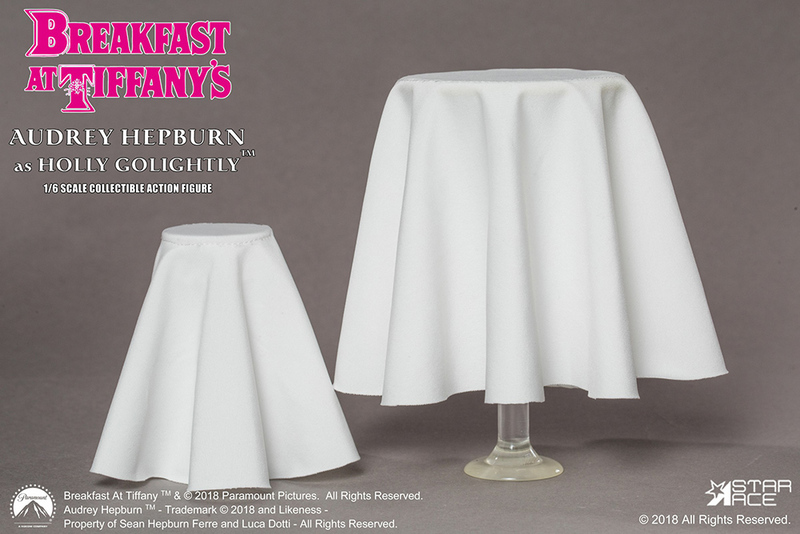 This movie-accurate figure features an authentic likeness of Hepburn with sculpted hair, and realistic jewelry, sunglasses, 6 interchangeable hands, high quality dresses (gloves, scarf and so on)...and just for the DELUXE edition, a table and chair diorama set.